Here, we’ll go over five steps you should follow to be sure you aren’t missing anything important from your backup strategy. Your first step is to determine what it is you will need from whatever backup solution you ultimately implement, because without this determination already made, you will not be able to narrow down your options enough to begin the process. Furthermore, it wouldn’t do to underestimate your actual needs and procure a solution that isn’t going to cut the mustard when you need it to. The industry you operate within will influence the requirements of whatever backup solution you ultimately do select. Your particular vertical may inherently require vast amounts of meticulously organized data, which will mean you need a backup system that can accommodate that data in whatever format it is in. Is some of your data of particular importance? You may want to consider prioritizing that data, and finding a solution that allows you to do that. This includes also taking the potential risks to your data into account, including malicious actors and natural events, as you compose a list of security, usability, and reliability standards that your final choice must meet. Now that you know your baseline requirements for your backup, you need to ensure that your business is financially prepared to implement it. Different approaches to backup will vary in cost and pricing structure, as well as potentially cost different amounts where employee training is concerned - after all, some options will require an employee to manage it, which will require an investment into properly training them to do so. While it may be tempting to try and cut costs and minimize your investment as much as possible, this isn’t the place to do it. 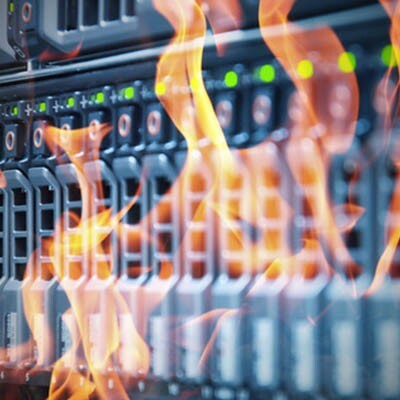 Your data backup, while it admittedly won’t generate you any profit, helps prevent your business from losing money through lost business and downtime. It wasn’t too terribly long ago that keeping a backup just meant that you had an extra copy of your data saved in a spare hard drive. Now, there are more options to leverage. For example, instead of a spare hard drive, there are software-based options available that act as a backup solution, as well as backup options available through cloud service providers. Many companies are now electing, however, to implement a hybrid solution. This combines the convenience of a software-based backup with the resilience of a cloud-based backup solution. Combined, this makes fully leveraging the capabilities of either backup method much easier, with practically ensured access to your stored data as needed. What good is a backup if it can’t be put into use, just because nobody knows how? No good at all. This is why, in addition to your backup, you need to have a detailed plan written out that will allow anyone to enact it as needed. Make sure that this plan includes important details, like variables that could affect the recovery process, which data should be prioritized, and what to do after your data is restored. If there are other members of your organization who will have a role to play in the recovery process, they need to be familiarized with the processes and qualifications outlined within. On a related note, what good is a backup if it doesn’t work? Again, it isn’t going to help you much, so it’s going to be pretty useless to you when you need it. In order to avoid heartbreak and devastation when you only discover a failed backup when you’re relying on it to work, you should regularly test your backup solution. There are a lot of things to consider when testing your backup: that it works, that you can restore your data back from it successfully, that your employees know how to handle it, and that you’re testing it regularly to make sure something doesn’t go wrong. Strata Information Technology has quite a bit of experience in assisting small and medium-sized businesses with their data backup and recovery needs. To find out how we can help you, give us a call at 888.678.7282.